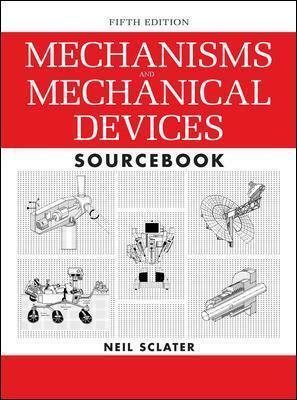 Fully revised throughout, this abundantly illustrated reference describes proven mechanisms and mechanical devices. Each illustration represents a design concept that can easily be recycled for use in new or modified mechanical, electromechanical, or mechatronic products. Tutorials on the basics of mechanisms and motion control systems introduce you to those subjects or act as a refresher. Mechanisms and Mechanical Devices Sourcebook, Fifth Edition, contains new chapters on mechanisms for converting renewable energy into electrical power, 3D digital prototyping and simulation, and progress in MEMS and nanotechnology based on carbon nanotubes. A new chapter on stationary and mobile robots describes their roles in industry, science, national defense, and medicine. The latest advances in rapid prototyping are also discussed. This practical guide will get you up to speed on many classical mechanical devices as well as the hot new topics in mechanical engineering. Neil Sclater switched his career from engineering in the military/aerospace industry to writing and editing in the field of electromechanical and electronic technology. After years as a staff editor for engineering magazines, he set up his own consulting firm in technical communications. While serving a varied list of industrial clients over a 25-year period, he contributed hundreds of articles to various engineering publications. Mr. Sclater has degrees from Brown University and Northeastern University. He has authored or co-authored eleven McGraw-Hill Professional books, including two earlier editions of this book.